Set off with slightly hungry tummies so made our first stop at The Barn for bacon, eggs and coffee which hit the right spot! 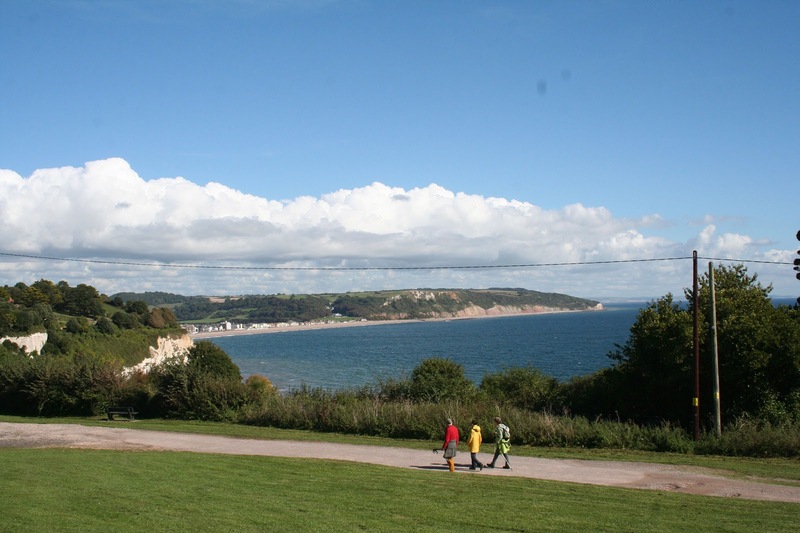 Making our way to The Grosvenor Hotel in Torquay and depending on the traffic and how we feel, will either take the scenic route via Lyme Regis and a titchy road or will go via Honiton. Weather is bright and just perfect for travelling - 17 degrees. Took the scenic route and I must say it is always better to take the local roads and avoid the main routes. We hugged the coast line and although the roads were at some times very narrow, we stayed on course and had the added bonus of seeing the most spectacular views of the small bays and quaint villages. Took pictures from Beer of Seaton Bay. Beer has a population of 825 permanent residence, mostly elderly from what I could see, this age group does not lend itself to a growth and so like all of these villages, will become a town without spirit. This is happening all over England as most of the houses are holiday homes, for the well to do up north. 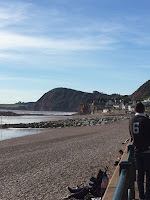 Seaton is a small, old and slightly unloved sea side town whilst Beer, is very small but felt far more upmarket - very steep hills. 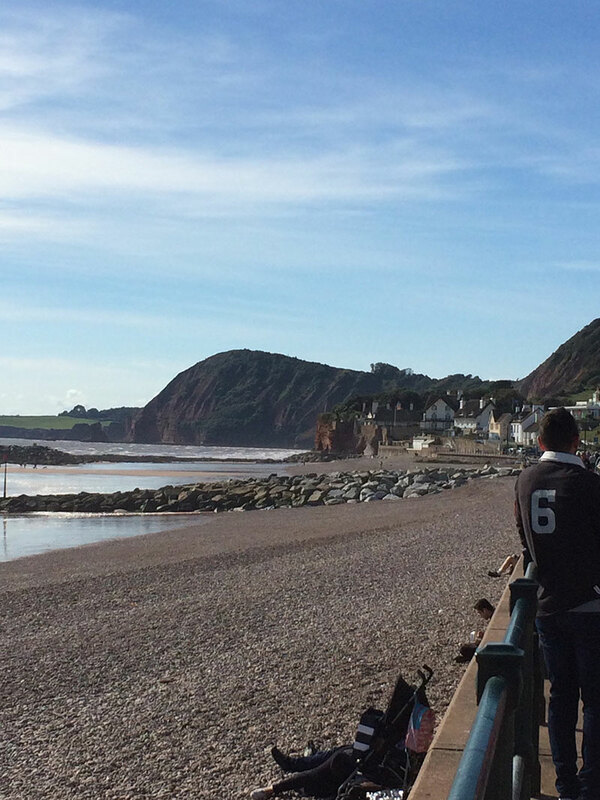 Next stop was Sidmouth for coffee and tried to get a watch strap! Susan loved the old fashion high street with all the independent shops still thriving. We had a coffee at the Cornish Bakehouse. They are a small chain of cafes selling Cornish Pasties as their signature. Coffee was very good and the pasties looked very tasty. Claims to bake the worlds best Cornish Pasty but then let's the side down a little by saying French pastries 'Feeds your soul'. The other thing we noticed very early on in our travels was that the people were all so friendly. Drove on from Sidmouth through many a small village with very English names. Newton Poppleford, a good example. To be continued. Contributions to this blog by Susan, ‘tummies and titchy’ just gives it away.